Is Falling Just a Part of Getting Older? Despite these harrowing statistics, falling is thankfully not just a symptom of getting older. Dizziness, imbalance, and falls are not considered to be a normal part of aging, and in fact, usually indicate there may be problems affecting the balance systems. Your balance relies on three senses: vision (eyes), proprioception (sensors in the feet and legs), and the vestibular system (inner ear). The brain interprets this information and sends messages to your eyes, feet, and other parts of your body to maintain balance and focus. Dizziness, imbalance, and falls may signal these systems are not working correctly. Falls may be directly linked to malfunctioning of one or more of these balance systems. Risk factors for falls include vestibular disorders, home hazards, vision impairment, foot/ankle disorders, vitamin D deficiency, certain medications, and orthostatic hypotension (a type of low blood pressure which occurs after standing up from sitting or lying down). Fall prevention strategies are usually aimed at addressing one or more of these risk factors. Exercise is an extremely useful tool to help prevent falls, however, not all exercise is considered the same. An exercise routine should focus on training strength, endurance, flexibility, and balance in order to reap the full benefits of exercise relating to fall risk reduction. Tai Chi, originally conceived as a martial art, is another exercise which has been shown to reduce falls and fall risk. It combines breathing exercises, deliberate movements, controlled weight shifting, and meditation. 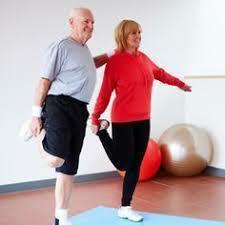 It is recommended to see a physical therapist if you feel like you are having problems with balance. A physical therapist will perform a comprehensive assessment of your balance and risk for experiencing a fall while providing balance training and prescribe exercises specifically tailored to your deficits. A vestibular physical therapist specializes in evaluating and treating patients with balance and dizziness disorders and may provide additional resources. Imbalance, falling, and dizziness are not considered a regular part of getting older and usually indicate there may be problems with your balance systems. It is recommended to take action if you are experiencing these symptoms: talk to your doctor or physical therapist and exercise! H&D Physical Therapy provides physical therapy, vestibular rehabilitation, and wellness services aimed at improving balance and reducing risk for falls. Bradley, S. M. (2011). Falls in older adults. Mount Sinai Journal of Medicine, 78, 590-595. Horak, F. Role of the vestibular system in postural control. Vestibular Rehabilitation. Herdman, S. 3rd Edition. F.A. Davis Company, 2007, Philadelphia: 32-53.